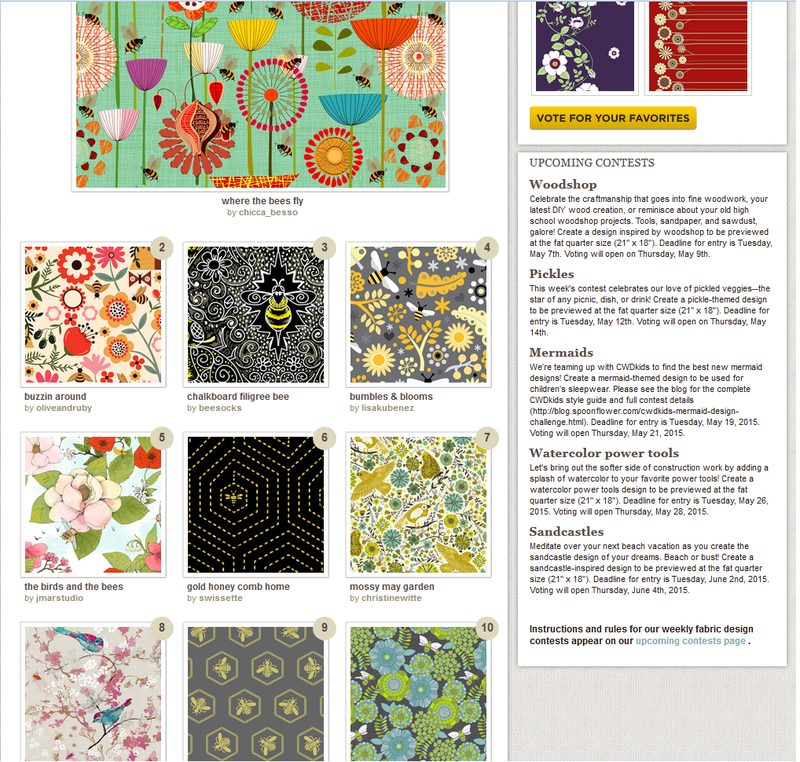 Sadly, we didn't win the overall prize of the most awesome bee fabric on Spoonflower, nor did we make the top 10, but we read that there were over 500 entries (!) and we are honored to have submitted our designs among so many other talented designers. Check out the winning designs below, and at the link below - we actually voted for #6 and #9, so at least we're pleased to know that we have a winning eye! Also, we got 5 favorites (hearts) for the Bee Happy design, and so we're happy about that as well.